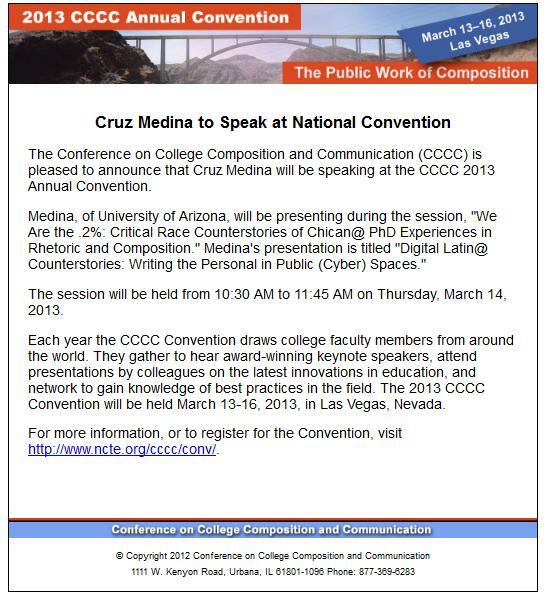 Is There a Latino Pedagogy That Works in the Public Form? 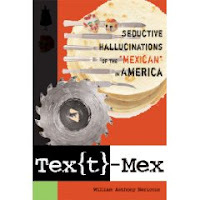 I think I oddly enough started with Gustavo because he was the first person to turn me onto William "Memo" Nericcio's book Tex[t]-Mex: Seductive Hallucinations of the "Mexican" in America. When I got back to Gustavo, asking him for his perspective on education, given his role as educator of Mexican-American culture in a public form, his response reflected his un-biased position as someone in the field of journalism. He said that much of what happens in the field of education is special to education, and that he doesn't consider "Ask a Mexican" to reflect 'a Mexican sensibility' despite his graduate degree in Latin American Studies. His most helpful advice was to consider my audience, because each one is different, and my teaching should reflect that. This advice reminded me of his reading at Martinez bookstore when he asked the large crowd the parts of Mexico where our families were from, and made a joke about how you can easily end up with a small town with five names. It makes sense that even within the five different names that the sensibilities would change.